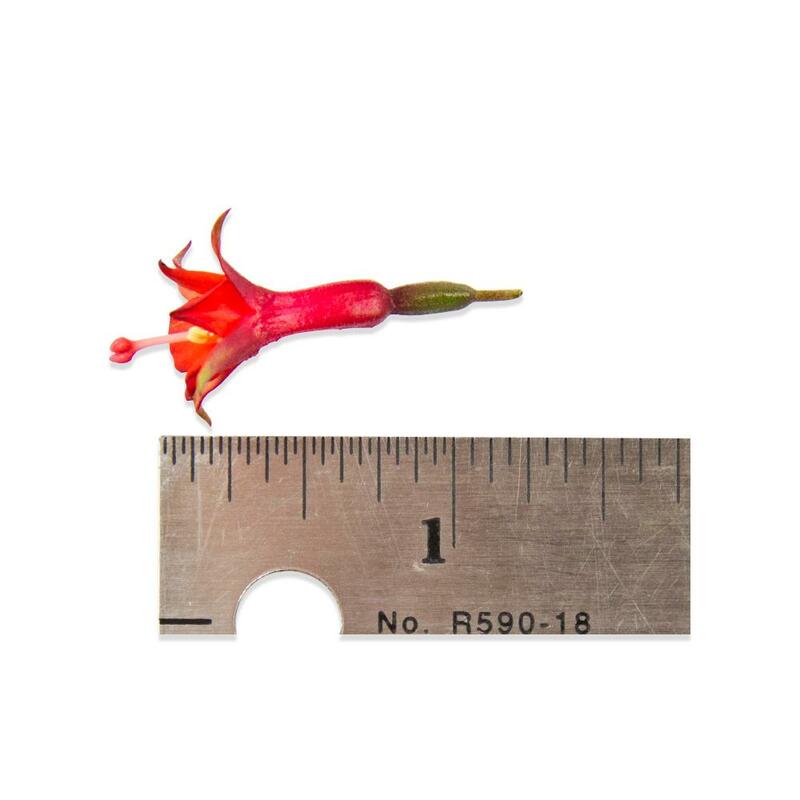 Micro Fuchsia™ flowers have thinner hot-pink or green extending petals (sepals) and thinner cores (purple or orange) than full sized edible fuchsias. They are approximately ½”-1” wide and about 1 ½” long, though they can vary. Fuchsias have a flavor that starts out sweet, then turns bitter and sour, making them better suited to use as a food-safe decoration than an edible garnish. 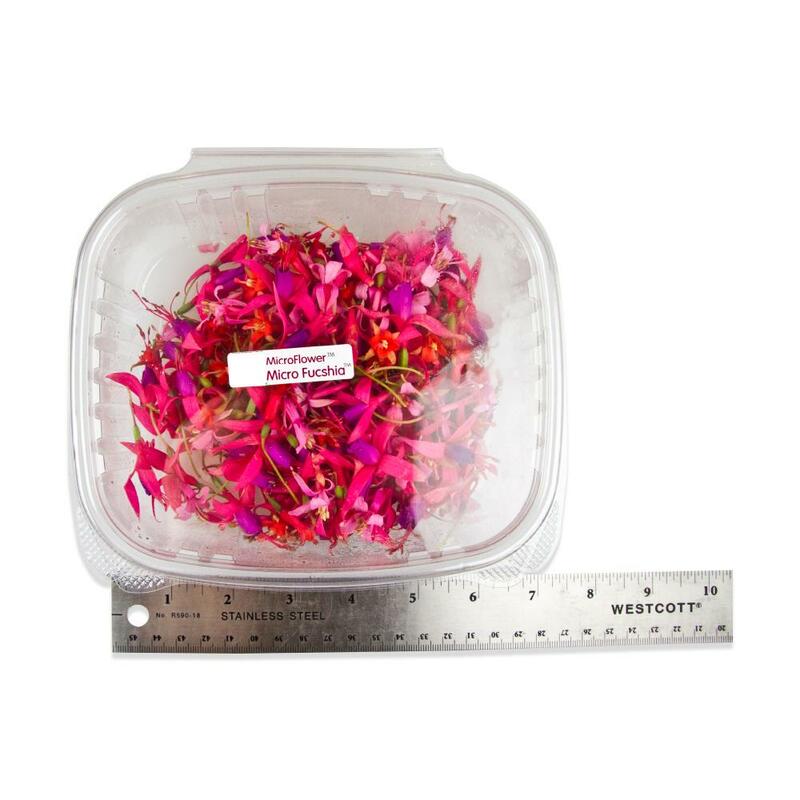 Store Micro Fuchsia™ flowers in their plastic clamshells in your refrigerator. 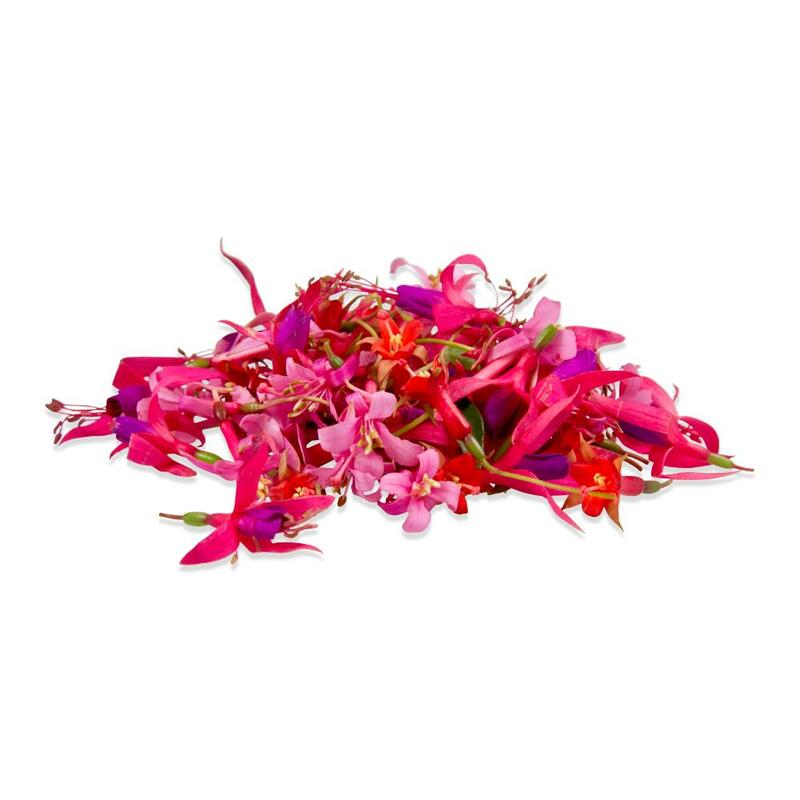 Use Micro Fuchsia™ flowers as a decorative touch for banquets, plates and platters.